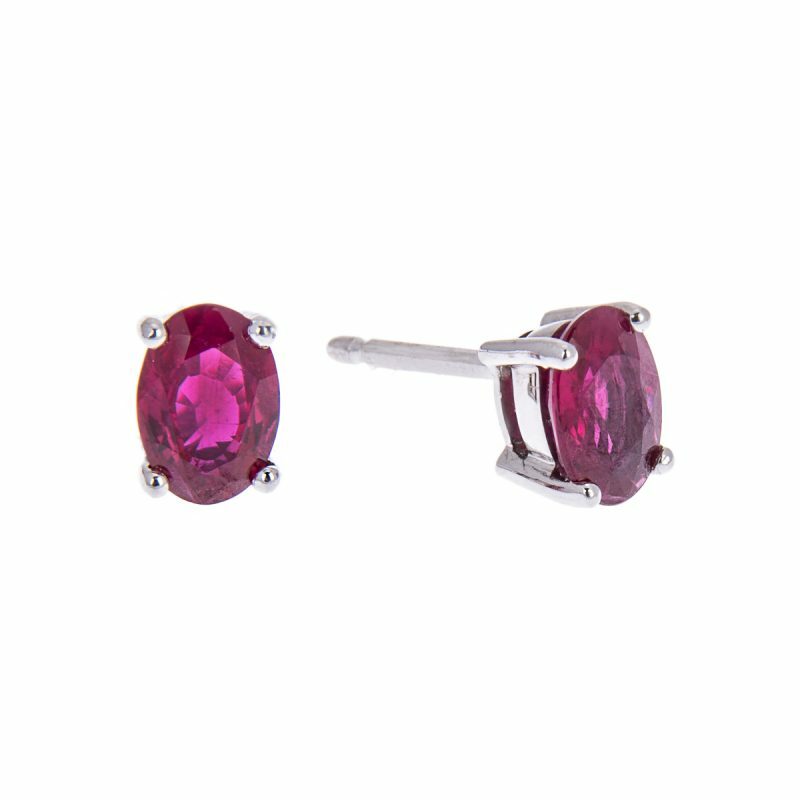 18ct white gold oval ruby stud earrings mounted in a claw setting with a brilliant cut diamond set halo surround to accentuate their beautiful shape. 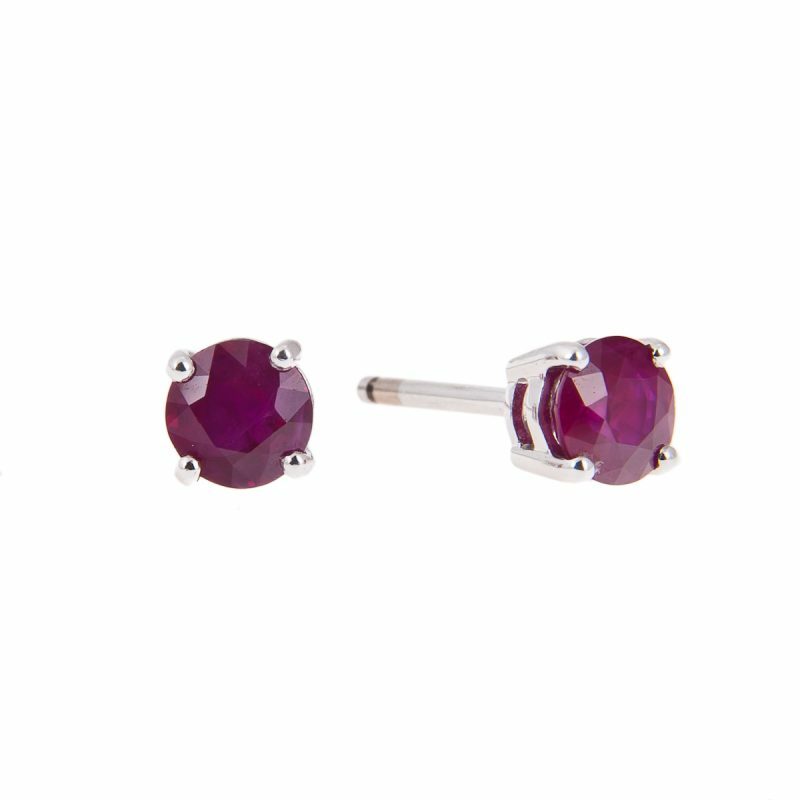 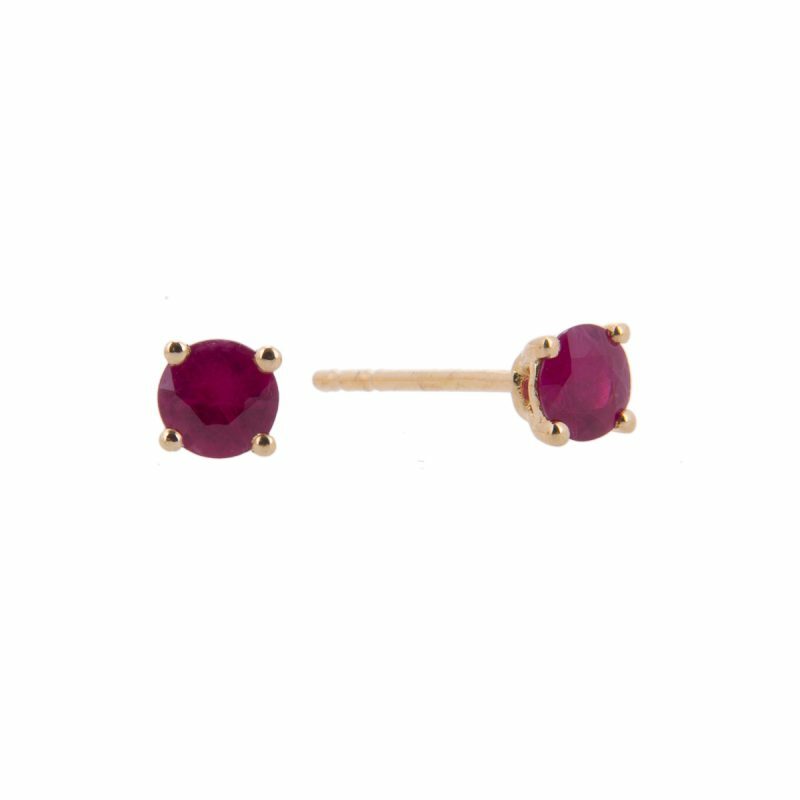 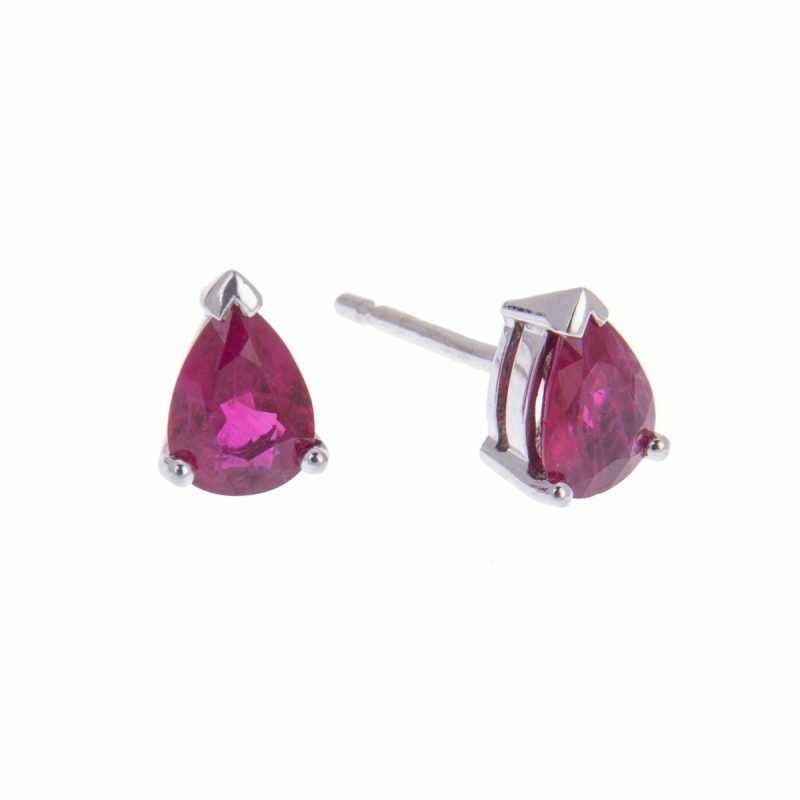 The fiery red tones of these matched pair of rubies make a striking impression. 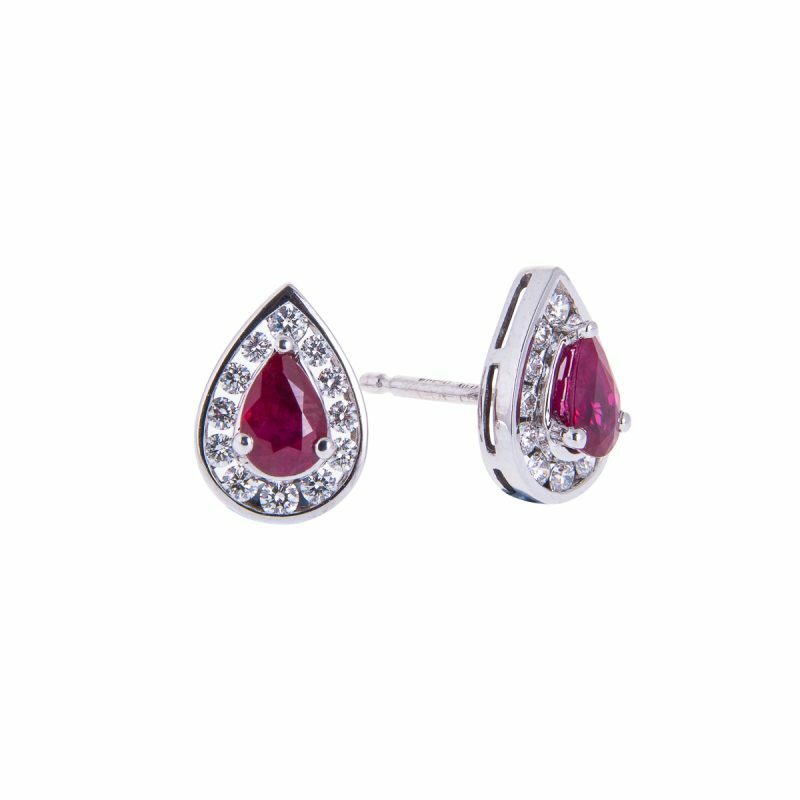 Synonymous with love and passion these stunning earrings would make the perfect gift for that someone special in your life.